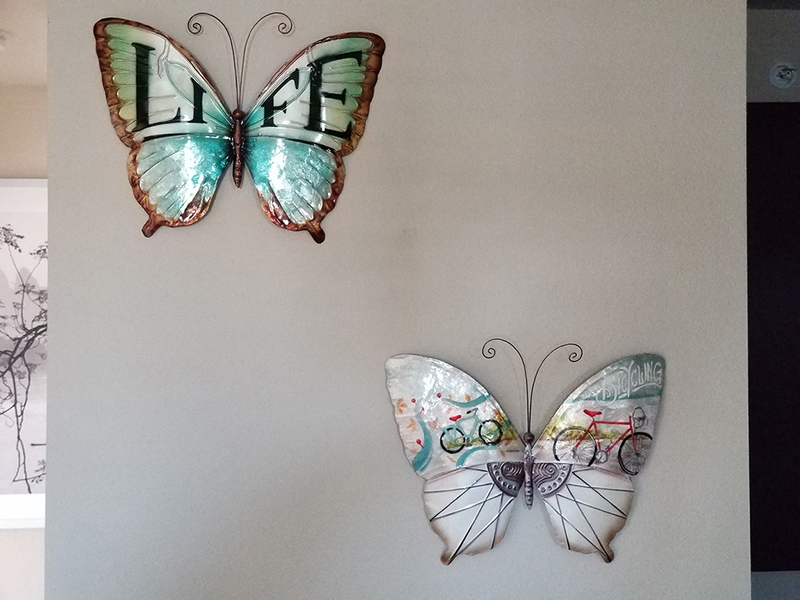 Shedding its cocoon, the butterfly is a strong symbol of rebirth, thus the butterfly is entrenched in many myths and legends around the world about immortality. In many eastern cultures, the color blue also is a symbol of immortality and is used to represent life. As to contrast the subtle meanings behind this butterfly, the word eLife' radiates from the butterfly's very core. 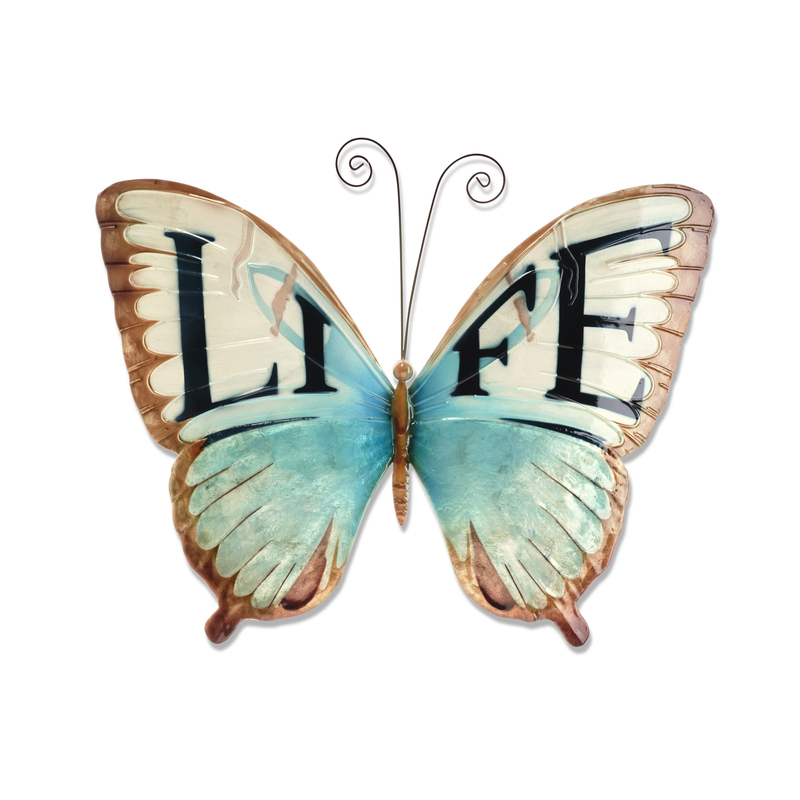 This elegant butterfly, highlighted with blue and browns, states clearly that this beautiful creation represents life.